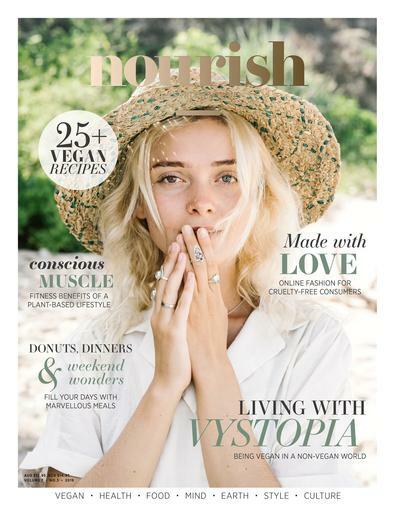 nourish magazine is the go-to guide for the growing number of Australians wanting to embrace a plant-based lifestyle. With editorial pillars of Health, Food, Mind, Earth, Style, and Culture, each issue offers advice on how to get started and, for those already committed to plant-based living, some fresh ideas and inspiration. In addition to delicious every day and special occasion vegan recipes, each issue will focus on living more consciously, including features on health and wellbeing, mindfulness, cruelty-free fashion and beauty, sustainability, travel and community.